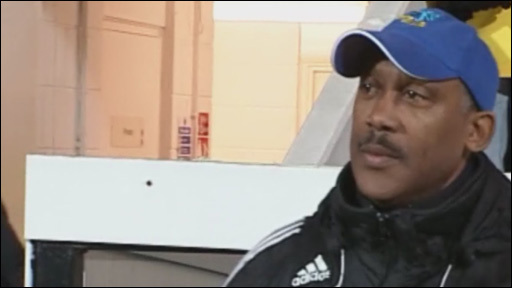 Macclesfield Town have announced that manager Keith Alexander has died at the age of 53. Alexander, who suffered a brain aneurysm in November 2003, passed away on Wednesday after arriving home from the League Two match at Notts County. He had recently returned to work after taking time out because of illness. "Keith was a splendid man. He will be sorely missed at the Moss Rose and by everyone involved in football," read a club statement. "Our thoughts and sympathies are with his family at this very difficult time." Alexander played as a striker for Barnet, Grimsby, Stockport, Lincoln and Mansfield and took over as Lincoln manager for the first time in 1993. After spells with Ilkeston and Northwich, he returned to Sincil Bank in 2002 with the club in administration and on the verge of folding, and led them to four successive League Two play-off campaigns - the only manager to achieve that feat. In November 2003 he collapsed with a double aneurysm, revealing afterwards that he had to be brought back to life three times. Alexander left Lincoln by mutual consent shortly after the defeat against Grimsby in 2006 and moved to Peterborough, but left in January 2007. He took the position of director of football at Bury before being appointed Macclesfield manager in February 2008, agreeing a two-year contract extension in January of this year. 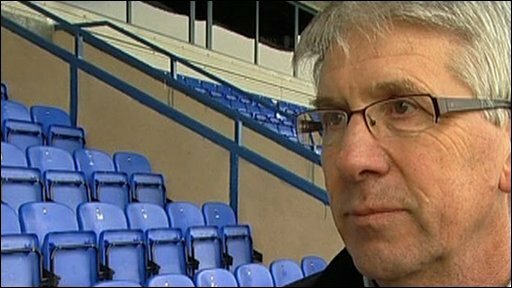 Macclesfield chairman Mike Rance led the tributes to Alexander, saying: "We're all absolutely devastated. "I spoke to Keith last night at about 11.15pm after our game at Notts County and he was in good spirits because, although we lost, we had given a team chasing promotion a good game. "We were chatting about an FA hearing after he had a row with a referee at Bournemouth, which just shows how passionate he was about the game. "He went home after the game last night and collapsed. Tragically, he never recovered. "Keith was the perfect manager for a club like ours. He was totally pragmatic about managing in League Two and the constraints involved. "He was a splendid man, a real gentleman and an absolute privilege to work with. He was strong, sensible, commanded respect throughout the game and was unique in many ways." Macclesfield are set to play Hereford on Saturday but that match may now not go ahead, with Rance stating that he has already spoken to Hereford chairman Graham Turner. "Graham also knew Keith very well and the decision as to whether Saturday's game goes ahead will be taken by Keith's family shortly," added Rance. "I know what Keith would have wanted, but it will be his family's decision." And assistant manager Gary Simpson added: "He was a larger than life character - an honest man, a splendid man and will be missed by not only football people but people in all walks of life. "He was an absolutely superb human being." Lincoln chairman Steff Wright told BBC Lincolnshire: "I'm absolutely numbed. To think everything Keith has done in football has gone is a massive shock. "Keith was an absolute professional, a gentleman, but more than anything else Keith was a great guy." 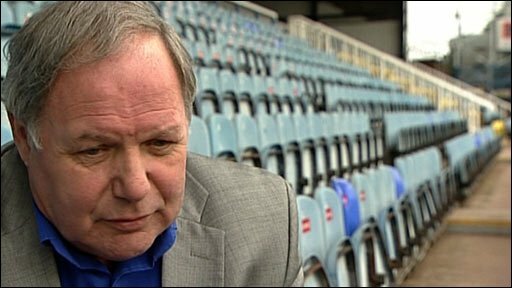 Peterborough director of sport Barry Fry, who worked with Alexander when he was a player at Barnet and also at London Road when he was a manager, added: "I really can't believe it. I'd been worried lately about his health but he assured me he was fine. "He recently had a bout of hiccups that he couldn't get rid of and he went into hospital for that, but he wasn't feeling ill when I spoke to him last, he was bubbly. "He'd had a few days off but he couldn't wait to get back on the training pitch. "You won't find a more dedicated man at any club, he always gave 150%. I feel so sad for his family." A Bury spokesman said: "Keith Alexander was one of the most genuine people you could work with, to know and to have the pleasure to meet. "There are a lot of heavy hearts around Gigg Lane this afternoon and as a club, we wish to pass our condolences to Keith's immediate family, his friends and all supporters, players and officials at Macclesfield Town Football Club." Accrington manager John Coleman told BBC Radio Lancashire: "He was a nice man and a good footballing person. "I spent a bit of time with him at the play-off final last year. He spent a lot of time managing lower league clubs and will be sorely missed." Morecambe boss Sammy McIlroy added: "Keith was a football man through and through. "We played them earlier on this season and everything seemed OK. I know he's had problems but he seemed to be getting over them. "He was chirpy and always loved talking about the game and it's a complete shock. "I remember him playing non-league football and he put himself about. But when you talked to him as a manager he was softly spoken and it's a great shame what's happened."